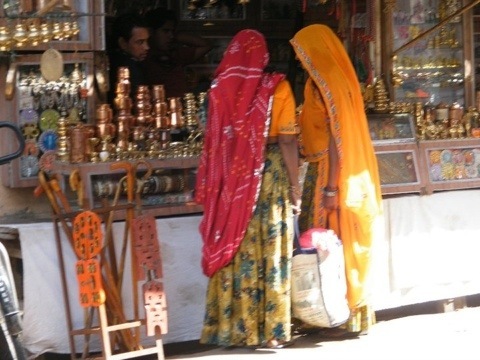 The ‘hippie’ culture is very much alive in Pushkar, a town in the Indian state of Rajasthan. 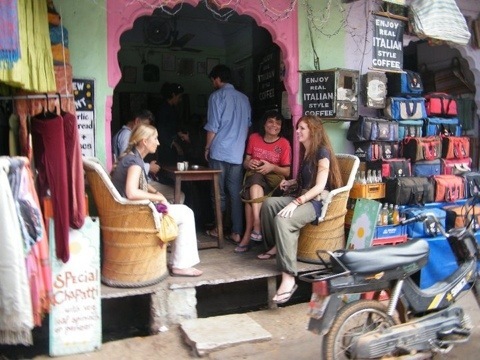 Pushkar,one of the oldest cities in India (just two and half hour away from Jaipur) is tagged as a ‘hippie haven’ where you can find a large number of local and foreign hippies. 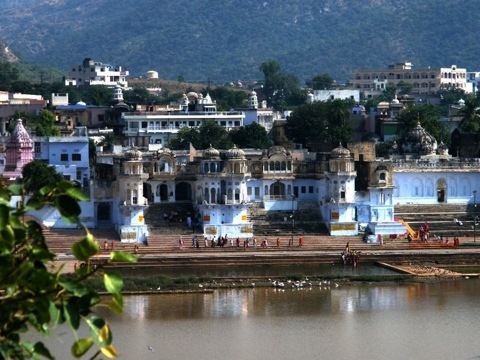 According to some they visited the place during the Holi festival and ended up staying permanently. 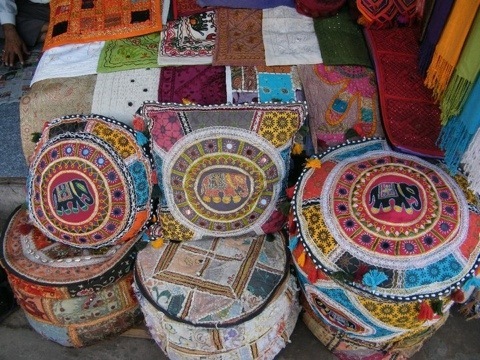 Colorful ottomans with ornate Rajasthani mirror work among some of the arts and crafts that can be purchased on the street bazaar. 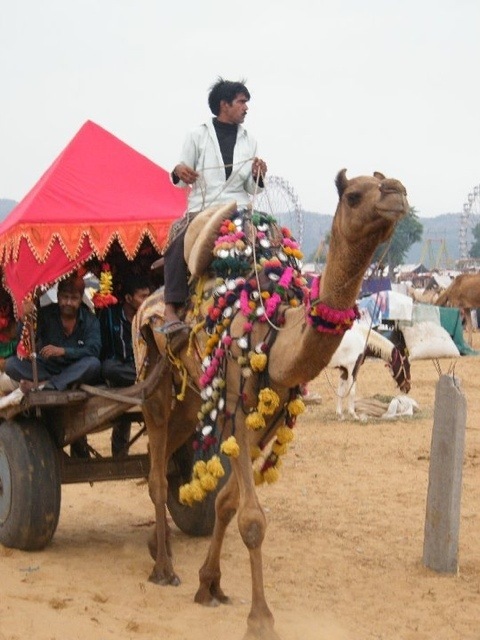 A camel ride at Pushkar festival. 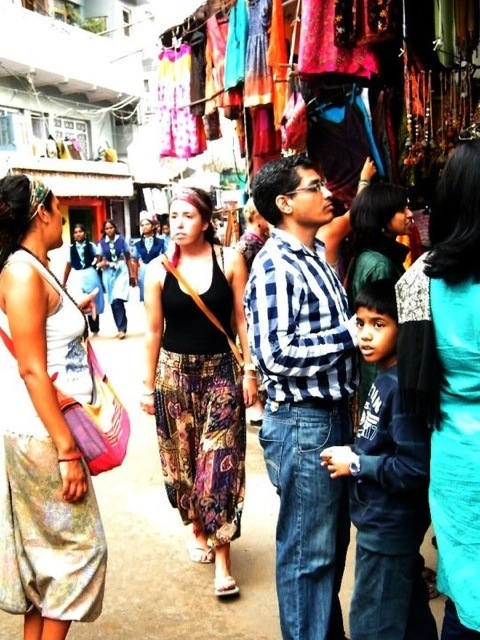 So many lovely and vibrant colours. 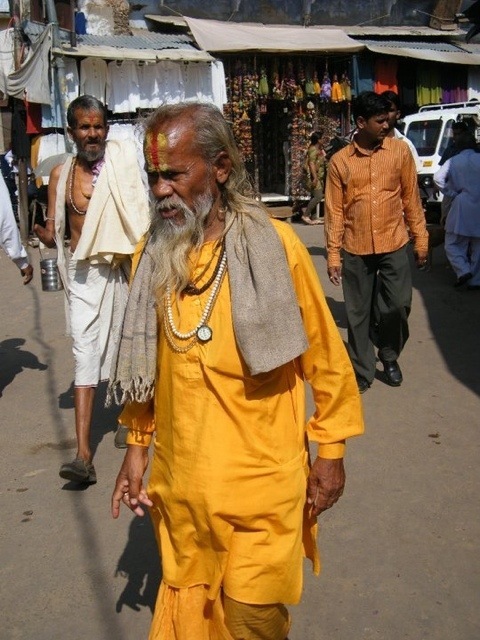 Indian is one colour country and a rich cultural tradition. I was going to remark on the colors as well. 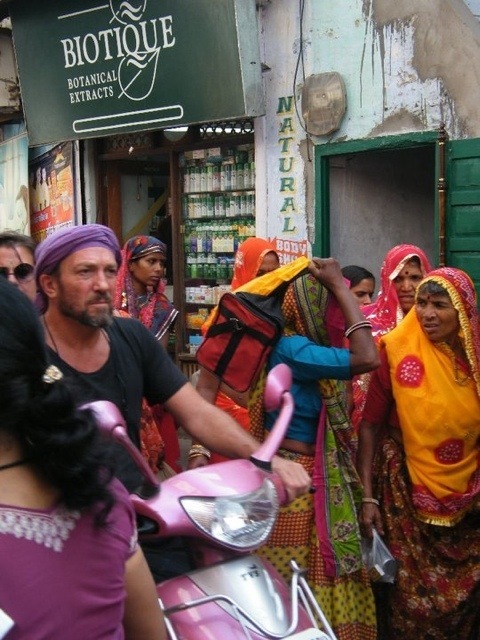 Our younger daughter was in India for a few weeks several years ago and loved it.